FANTASTIC Opportunity with this 3 Bedroom, 2 Bath one story home with 1475sf living area in North Brandon's Hillside neighborhood!! Wonderful ranch style plan with welcoming foyer, living and dining room combination, and separate family room off the galley style kitchen. Other features include an attached 2 car garage, fenced yard, screened and covered front entry, master bedroom with walk-in closet, kitchen with breakfast bar, shed for storage or workshop, and so much more. Loads of potential and ready for your personal touches!! 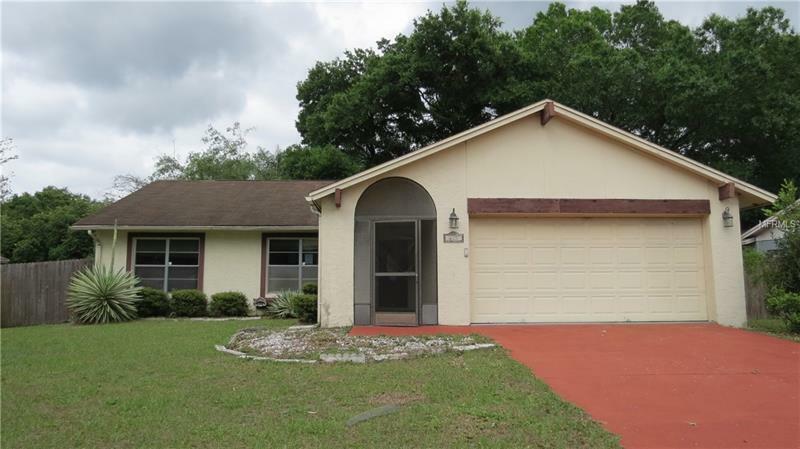 GREAT location in quiet and established North Brandon, neighborhood with no deed restrictions, no HOA or CDD fees. EZ access to I-75 and I-4, just minutes to shopping, restaurants, and Schools. Put this one on your must see list, it's a great place to call home! !